Tonight I'm having dinner with a great group of friends. 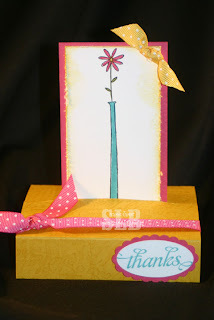 This is my swap for our Cards the Move swap, it is a free standing pop up card. Check back tomorrow for another fun project and of course pictures from our dinner tonight!